If there’s one thing the world doesn’t need more of, it’s VR headsets. There are countless iterations available from all sorts of companies, but according to a new tweet from @evleaks, Motorola thinks they have a pretty innovative idea for them. As we can see in the image above, Motorola wants to turn a VR Headset into a Moto Mod, or maybe it’s VR Headset that is also a Moto Mod? 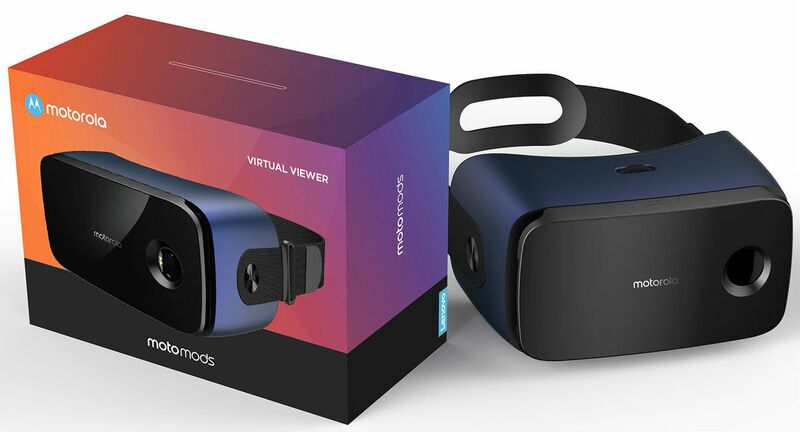 Either way you slice it, the headset looks to be called Virtual Viewer and it should be downright easy to use, just like any other Moto Mod accessory. We aren’t aware of any release information, price, or specs per se, but we assume you simply throw your phone into the headset, then have access to Google’s library of VR apps and services on Google Play.